For the love of eye makeup, I always use a primer even if I know in my heart my eyeshadows will last me the whole day! Why do I depend on them? Well, the fact that I have "security" even if I get caught under the rain, or the sudden humidity from wherever I go or simply..just for the vibrancy of the eyeshadow when I take this extra step. 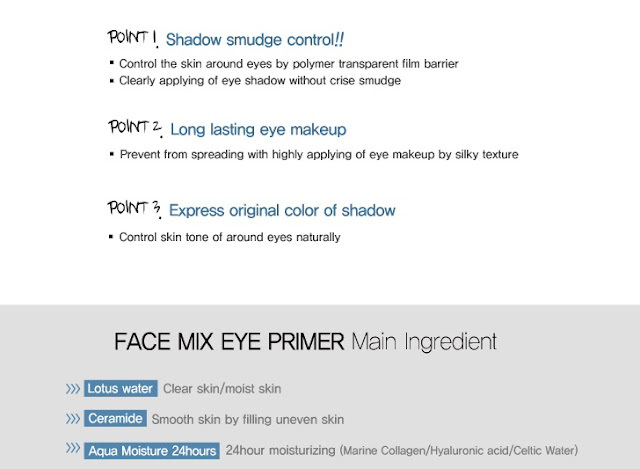 Tony Moly, one of my favorite Korean Brand has their own Eye primer under the Face Mix Line. It is housed in a simple tube with doe foot applicator which I can easily mistaken for a concealer! READ THE LABEL Nikki, READ! Has a lovely pinkish tint that works not only as an eye primer but can help brighten up the eye area. Can be used on eyelid, brow area and lower lashline. Eyeshadow lasts the whole day (or until removal in my case). No creasing or fading of powdered shadow. Helps prevent eyeliner from smudging. Eyebrow products stick much better especially brow powders. 4ml product which may not be enough for those heavy eye primer users. Most of the time, they are out of stock. 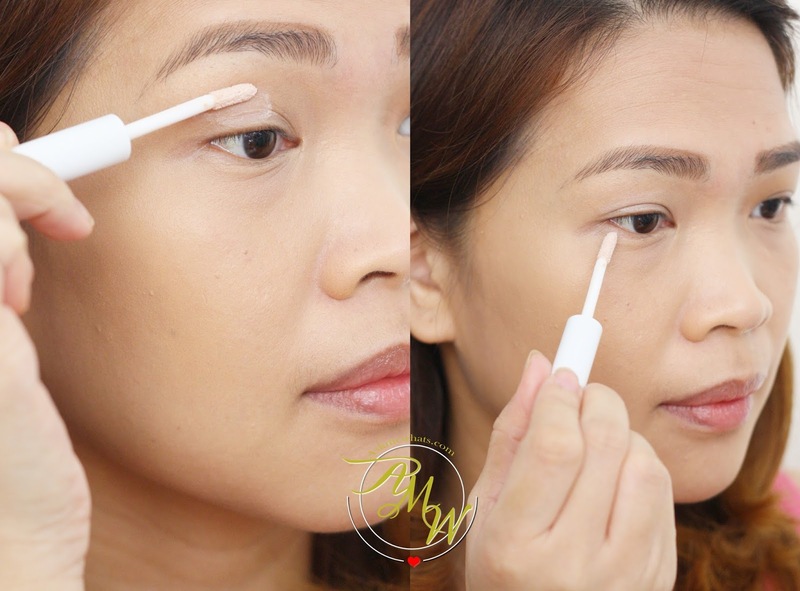 A smooth, easy-to-blend eye primer that helps lighten up the eyelid area. Can help eyeshadow appears more vibrant and prolong the look of eyeshadow. It lessens or gives almost NO creasing to your eyeshadow. Best applied on the lid and the rest of the eye area (inner corner, outer corner, below the lashline and even the brow area). Wait for the product to be "settled" for a couple of seconds before applying eyeshadow. A little goes a long way so try not to apply too much as it may be difficult for eyeshadows to blend if over applied. Users with normal, dry and oily lids. At local Tony Moly stores priced less than Php500.00. Sorry I threw out the receipt so can't tell the exact price. As for application, I like to concentrate application on the center of my lid extended to my lower lashline to prevent my eyeliner from smudging. This actually helps! What's your favorite eye primer to date? Have you tried this one from Tony Moly? I'm frequent at Tony Moly but this is the first time I saw that eye primer. lol! sis nakatago kasi sa side plus it looks the same with some other packaging! I love the Elf eye primer, it really is great for oily lids, and the finish is so smooth. The packaging, doe foot, shade is so much the same with this, I wonder if they have the same feel and finish because the elf costs half the price of tony moly. Tony Moly also carries a lip concealer within this Face Mix line. It's great for pulling off the gradient lip look when you've got hyperpigmented lips. Compared to other affordable eye primers? Where in the stack is this? hmm...I would say top 3! Number 1 still from Etude House.